I was raised in Broken Arrow, Oklahoma. My grandparents and my dad raised me. My grandfather was a geophysical engineer, my dad was an electrical engineer. My grandmother was a cryptographer. She was a codebreaker during WWII. My grandparents met in the navy. My mom was a logistics clerk - they met in the army. What brought me to Springfield was I was homeless in 2003, in Tulsa Oklahoma. There was nothing - no help for a homeless person in Tulsa. There really isn’t. So me and a friend of mine decided to hop a freight train that was going west. Thought we’d go to California and see how things were. We fell asleep and got hooked up with a train headed back east. So we didn’t know we were in Missouri for almost a whole twenty-four hours. Well, long story short, that’s what originally brought me into Missouri. The guy I was with? No one would help him. Like, he didn’t have any ID, no social. This guy mentally wasn’t all there and he justified not having those documents as what would be analogous to conspiracy theory. He wasn’t entirely bright. He would have gotten himself killed if left to himself. I was able to get whatever help I needed because I had a social and ID. He didn’t. I couldn’t leave him there. You know, we were in St. Louis. I couldn’t leave him there. I knew what would happen. So I say “alright, you’re coming with me”. We go from the Arch all the way to Greenwood, St. Louis County. My homelessness? It wasn’t so much my past as a way of saying, it keeps coming back. It was more of the social ideology of the community. The department of justice says “okay, you’ve done your time, we’re kicking you out”. Society says “you may have done your time, but we’re still going to punish you”. I did a year in jail. It’s really been an uphill battle since then. I have two felonies, they’re back to back - they weren’t anything violent, but it doesn’t matter. It’s really difficult for me to find stable employment, much less a place to live. They do CDC background checks and credit check. 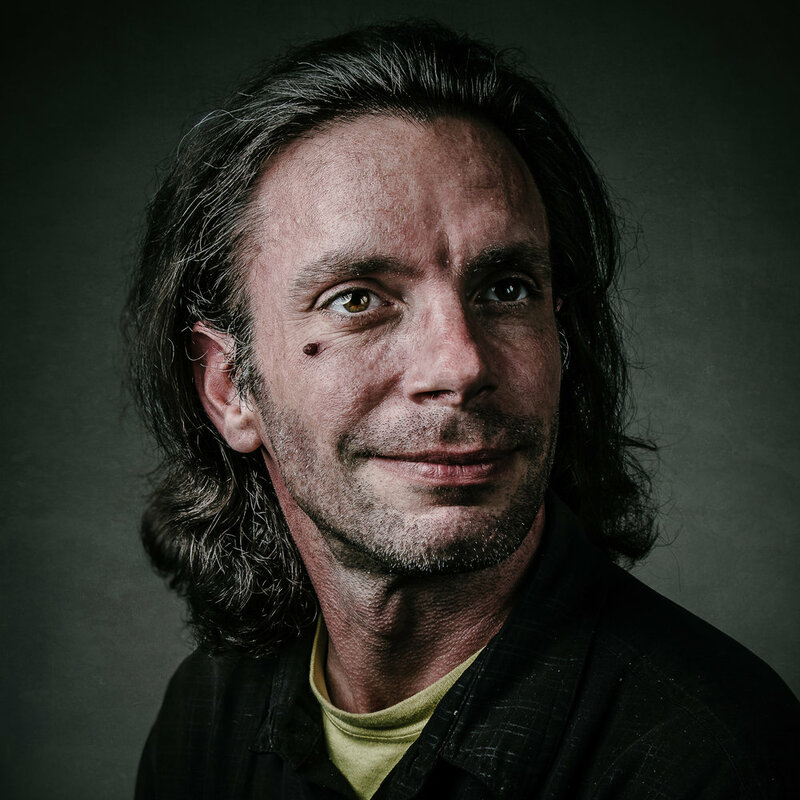 The most difficult part of being homeless was not having a place where I could pop up a tent. I would find someplace, I would hide. Not having a place where I could store my gear so I wouldn’t have to carry it all over town while I look for a job. I would like to be a prison minister. I don’t think people would be surprised at the choice of what I want to do with my life. No, I think they would be more surprised at my past. They wouldn’t see it. Something I have learned recently is that I feel less of a need to ask from blessings from God - because God is my blessing. He’s it. I wouldn’t be here if it weren’t for Him, and I know that for a fact. I wouldn’t have anything or be able to do anything. And that’s where I’m at.